When thinking about how to confront a cheater the question really isn’t about time or place, it’s really about readiness. The first instinct when you discover your spouse is cheating is to confront that person and just pour out all the hurt and accusations. However, is that not only the worst approach, but in some instances it could cause more problems. Safety and sanity are vital when confronting spouses about their infidelity. After all, it’s not uncommon for the tables to be turned and for some spouses to react with accusations of their own or even with violence. Stay focused – Once you suspect that your spouse is cheating don’t just jump into a confrontation. Instead remain focused on compiling the proof you need. If that means going through financial records, cell phone bills, credit card statements, or even hiring a private investigator, you need evidence before the confrontation. Stay quiet – Don’t go around talking to your best friend, your mother, or your brother. No matter how they promise to keep quiet, their attitude towards your spouse will change and that could raise some red flags with your spouse. Not only that, but what if you’re wrong? In that case, those who love you are going to have a difficult time being nice to your spouse in the future. Stay calm – Once you have the proof you need, then take some time to write down how your feel or go see a therapist to help you collect your thoughts, while expressing your hurt, rage, feelings of betrayal, and confusion. You need to get those feelings out before you confront the cheater, otherwise the clever cheater will use those feelings against you. Don’t change – If you are in the process of gathering your proof, don’t change how you treat your spouse. Don’t go all cold and angry. That will only serve to drive your spouse further into the arms of the “other” or it will betray the fact that you suspect your spouse of cheating and the confrontation could come before you’re ready. If your spouse figures out you might know, then he/she may become even cagier and start hiding evidence. Do select the location with care – It’s probably not going to be the wisest move to stomp into your spouse’s place of employment, push the door open so hard it bounces against the wall and scream out your accusation. Ideally, when thinking about how to confront a cheater and where to do it, you want a location that is quiet and yet provides a bit of safety should things get ugly. Do protect the kids – You don’t want the kids to see you fighting or crying. Whatever happens make sure they know that nothing is their fault and reassure them they are loved by both parents. 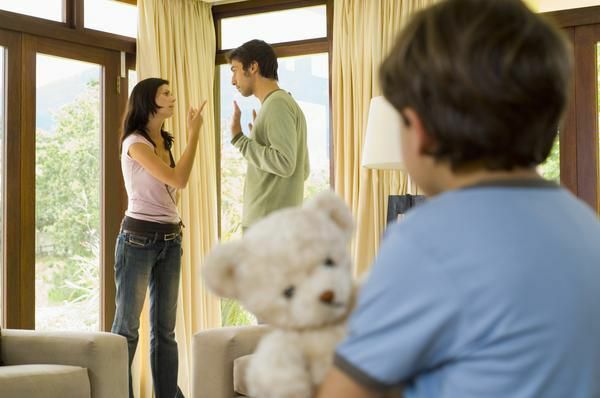 Don’t use the kids – Do not use the children as a tool to manipulate the cheating spouse. Also don’t use threats of losing the kids to control the cheating spouse. Do have a plan – Know before confronting your spouse about his/her infidelity what you will do. Are you going to try to save the marriage? Are you going to walk away? These are just a few of the things you need to know when considering how to confront a cheater. Probably the most important is to not let emotions make you lose control.